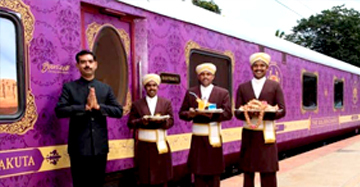 Golden Triangle Train Tour Packages, Train Tour packages of Golden Triangle . India’s Golden Triangle is the most famous journey based on an enchanted discovery of gems and architectural wealth the country is known for. 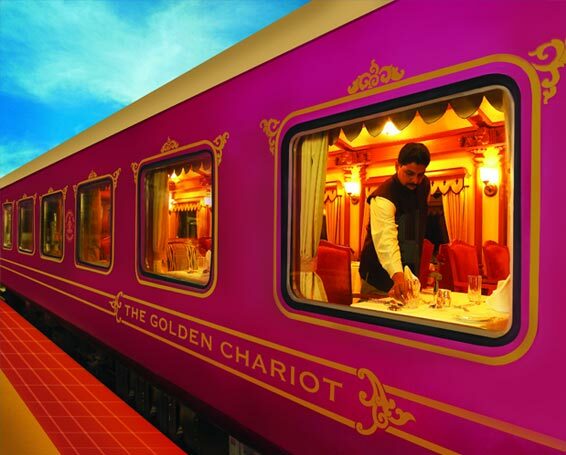 This route to glory offers a chance to revisit the timeless cities of golden era, namely Delhi, Agra and Jaipur, which have become an institution in terms of heritage. 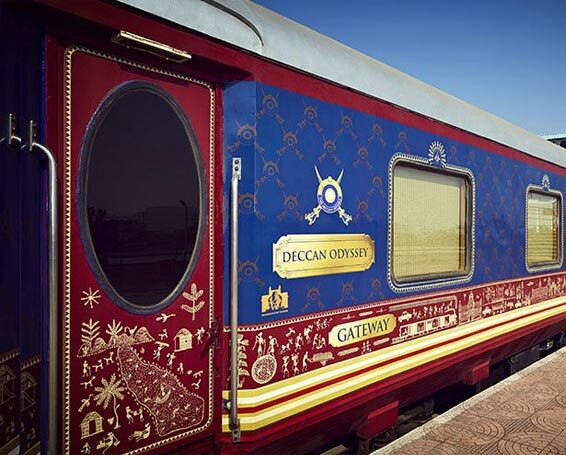 The celebrated journey begins from the contrasting city of old and new, Delhi. This Indian capital is considered as one of the most reliable entry points to India and offers tourists endless moments to begin the illustrious tour to the country’s heritage. The old part of this city is known for its narrow alleys, busy bazaars flanked by architectural splendours of Red Fort and Jama Masjid. Humayun Tomb and Qutub Minar in the city also keep the heritage of the city high. Its modern counterpart, New Delhi allows tourists to look forward for the British style boulevards, lanes, majestic Rashtrapati Bhawan and circled avenue of Connaught Place. 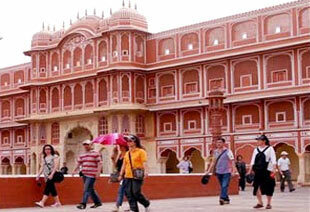 Second city of Golden Triangle tour is the illustrious Agra, the city known for its architectural gems. The city is the living specimen of Mughal majesty and witnessed many monuments illustrating their outstanding craftsmanship. The monuments famous in this city are Agra Fort, Fatehpur Sikri, Itmad-ud-daulah, Sikandra and most importantly the treasured elegance of Taj Mahal. Naturally, the attraction, admiration and adulation of the world are associated with Taj, which is undoubtedly the pride of India. 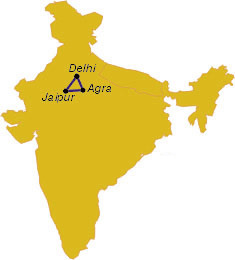 Later, the journey touches the vertex of territory ruled by Rajputs, Jaipur in Rajasthan. The city refined as per the Indian architectural plan, Jaipur is also known for its majestic mix of forts, palaces and other landmark structures. Visiting this city offers tourists a rare chance to experience the colourful and joyous spree of the colourful Rajasthan. 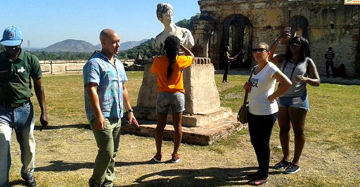 Besides visiting the citadels of Rajputana, tourists can avail the chance of exploring the bustling bazaars of the city. There one can find the famous blue pottery and vibrant Jaipuri print fabrics to colour up the wardrobe. 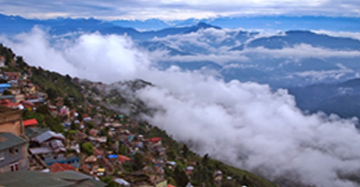 There are many ways that connect this Golden Triangle of India. 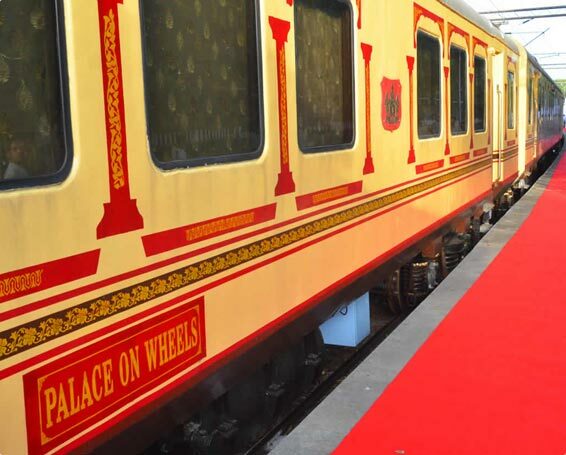 But in recent times, many tourists are availing the option of exploring this circuit by Golden Triangle Train Tour. 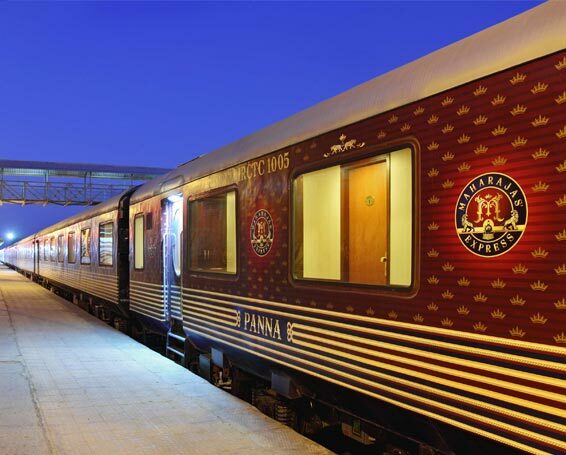 Connected by the superfast Shatabdi Express Train, this train tour can be connected from Delhi to Agra, Agra to Jaipur and vice versa. 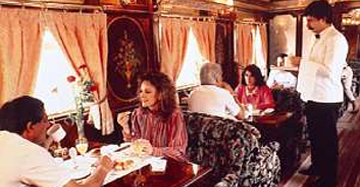 Find out more about Golden Triangle Train Tours via itineraries.